Who is Live Oak Bank? I had never heard their name until I looked at the list of top SBA 7a loan providers. They consistently are one of the largest providers of SBA 7a loans in terms of both numbers of loans and $ amount of loans. In the most recent report by the SBA, they ranked number 3 on the list of the most active SBA 7a lenders, ahead of both JP Morgan Chase and Citibank. (The top two were Wells Fargo and US Bank). According to their website, they specialize in lending to businesses like dentists, veterinarians, and pharmacies. 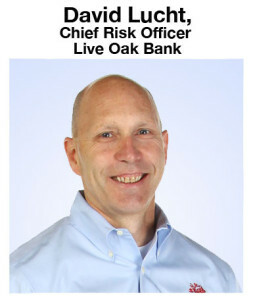 I had a chance to interview, David Lucht, the bank’s Chief Risk Officer and founding member of Live Oak Bank. I loved his direct answers to my questions on what banks are looking from borrowers. 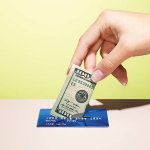 What are common misconceptions that small businesses have about borrowing money from banks? Many small businesses misunderstand the risk tolerance of banks. Banks must be correct in evaluating a borrower’s ability to repay at least 98% of the time. If the risk of a project is higher than that, the funding need should be better filled by equity. Are there any rules of thumb for the amount of money that a small business might be able to to borrow? The rules of thumb vary widely by industry. However, at the end of the day a small business needs to have enough cash flow to repay the debt, plus have a cushion. Most bank’s look for a minimum 1.25x Debt Service Coverage ratio, meaning a business must produce a 25% cash cushion after paying its debt. What two or three financial ratios is a heavy importance placed on by lenders? Can you describe the different stages of a loan application and perhaps give a sample timeline for how the process could take place? What are common misconceptions that small businesses have about SBA loans? Loan program is too complicated: Not if the lender is experienced. Need to have full collateral coverage. 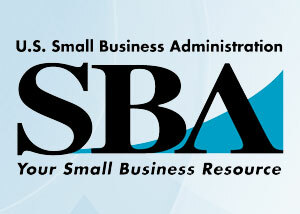 SBA is designed to be a cash flow program. What are the major differences in the application process for an SBA and non-SBA backed loan? None really, except for a few more forms. The financial analysis done is exactly the same. advertisement Want to apply for an SBA loan online without having to fill out “a million” different forms? Try smartbiz for SBA 7a loans of $150,000 or less. Are there any steps that you recommend companies go through before starting the loan application process (like having books audited by a CPA)? Rather than audited statements, I would suggest they really think about their business and create a detailed projection for the coming year or two, what we call a “plan for success”. Point out how the company differentiates itself from competitors. Demonstrate tangible strategies that have produced growth in profits and sales in the past, and talk about the future plans to continue to succeed. Convince a bank that you are a well-managed company. What are common reasons for rejecting a loan application for SBA and non-sba loans? Lack of cash flow sufficient to pay the debt, horrible personal credit, declining trends with no explanation for how they will be reversed. Does your bank specialize in certain geographies or industries? Yes, we specialize in loans to veterinarians, dentists, medical practices, investment advisors, funeral homes, and family entertainment centers. We lend in all 50 states. What types of businesses should look toward your bank for a loan and why? Solid, well-managed businesses which have good cash flow, but less than full collateral coverage. We are a cash flow lender. David Lucht is the Chief Risk Officer for Live Oak Bank. Before joining Live Oak Bank in May of 2007 as a founding member, Lucht held numerous high-ranking positions in many different successful banking institutions. 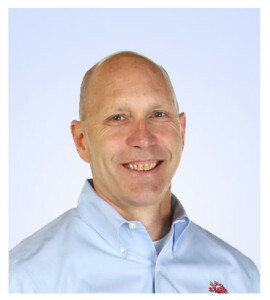 He was the Chief Credit Officer, Executive Vice President and Director for First Merit Bank out of Akron Ohio where he was responsible for leading the turnaround in credit culture and performance of the $10.5 billion bank. Live Oak claims they are a cash flow lender. Are you aware of any other true “cash flow lenders”? In other words, banks that lend to businesses that are able to repay the loan based on future cash flows, and do not necessarily look as closely at equity or collateral. Marc, thank you for the reply. My experience over the past 18 months has shown me that Live Oak is unique for a few reasons. They are willing to look at start-ups with less than 25-30% cash injections (seems to be industry standard), and are much more willing to work with “collateral-lite” businesses if they have solid cash flow projections that can support debt service. While true that the SBA program was put in place to assist businesses who would otherwise have a difficult time qualifying for conventional loans, it seems that lenders still require large equity injections and real estate or guarantors that are able to cover the loan in the event things end badly. Something that most start-up borrowers are not yet able to provide. In your experience, have you seen other banks, such as Live Oak, who leverage the SBA program to be as friendly to start-ups?